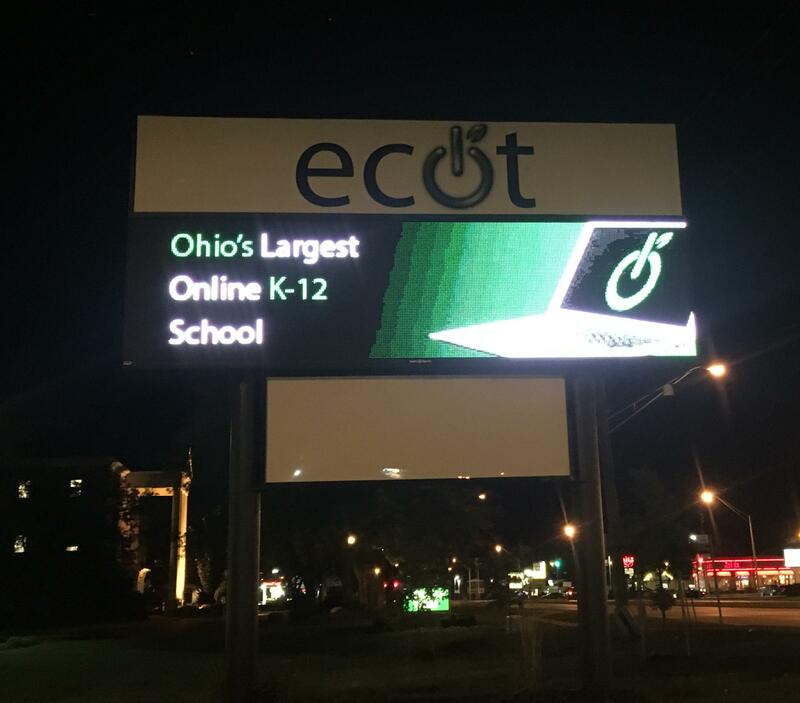 Many of the students enrolled in Ohio's largest online charter school when it closed in January have transferred to other schools, but state officials don't know what happened with about 2,300 students. More than 11,000 students were listed as enrolled at the Electronic Classroom of Tomorrow when it shut down mid-school-year amid a dispute with the state over public funding and how student participation was tallied, and about 20 percent are not re-enrolled or accounted for. The Ohio Department of Education says confirming their status is a tricky task complicated further because the department doesn't get personal information about students, such as names and how to contact them. State Senator Joe Schiavoni says he plans to propose legislation to regulate fertility clinics. The move follows a freezer failure at University Hospitals in March, resulting in the loss of 4,000 frozen eggs and embryos. The hospital system faces more than 100 lawsuits. Schiavoni tells Cleveland.com his bill would require that all employees get training on how to handle liquid nitrogen, report damages of cells or tissues to patients within 24 hours, and would require clinics with multiple issues to close. Inventory records show Veterans Affairs medical facilities across Ohio have lost track of more than $1.1 million worth of medical equipment over a three-year period. VA medical centers in Columbus, Cleveland, Cincinnati, Dayton and Chillicothe all lost equipment between 2014 and 2017. Items that went missing range from iPads to a $28,000 bedside monitor. Some facilities continued to lose items even after the VA in Ohio spent close to $24 million on tracking technology. Cincinnati VA spokesman Greg Goins says Ohio facilities have issued a stay of future spending on the tracking technology. The State Highway Patrol says eight people died in traffic crashes over the two-day Fourth of July holiday reporting period. Last year, 21 people died in the reporting period that ran longer – five days. Troopers say they made just under 300 arrests for impaired driving and about 275 for drug-related charges this year. Ohio's Supreme Court has denied a condemned killer's motion to stay his execution. The court denied death row inmate Robert Van Hook's motion Thursday without additional comment. He was sentenced to die for murdering a man in Cincinnati in 1985. His execution is set for July 18. Authorities say a husband and wife were killed in a boat crash on Lake Erie Wednesday night. The U.S. Coast Guard says Timothy Moore, 54, and Penny Nickeson, 49, were in a powerboat when it hit a steel breakwall shortly after the city of Lorain's fireworks. A 10-year-old grandson was treated for minor injuries. Cleveland police say four people were killed in a 24-hour span. Cleveland.com reports gunfire killed a man and injured two others who lit fireworks off in the middle of the street early Thursday. The shooting is one of four slayings that happened from the early hours of the Fourth of July to shortly after midnight Thursday. No arrests have been made in any of the cases. A neighborhood in East Akron will be seeing bubbles this weekend. The Knight Cities Challenge grant winner @Play by Mac Love is making its way through 24 Akron neighborhoods with murals, colorful walkways and chimes. Today, it's a Bubble Fest at Joy Park at 4 p.m. The four-time Guinness World Record holder for largest indoor and outdoor soap bubble, Dr. Awesome, will perform bubble magic and offer interactive experiences. Some Cleveland kids are getting new bicycles today. It’s through the Greater Cleveland Sports Commission's Youth Education through Sports program. Kids who participated in a recent field day were tested in areas covering nutrition, physical activity, energy & science and the importance of sportsmanship. One-hundred-fifty of the highest scorers are getting the bikes in the effort with the group NEOCycle.